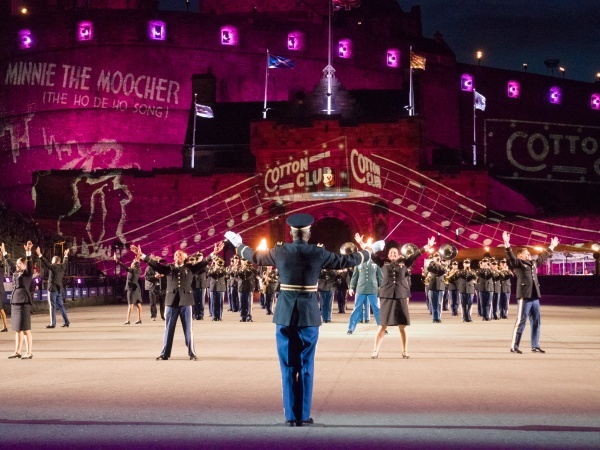 The Royal Edinburgh Military Tattoo is billed as "The greatest show on earth" and from the reaction of the audience just after our performance, this year's Tattoo was a show that few will forget. One of the audience members we spoke to summed up the opinions we heard: "The show was incredible. I have never seen anything like it" said Tobias Resch from Germany. We tried to pin down the best bit - was it the Imps Motorcycle Display Team, which features children aged aged 5 -16 with Star Wars in the background? Or what about the Pulp Fiction dancing? 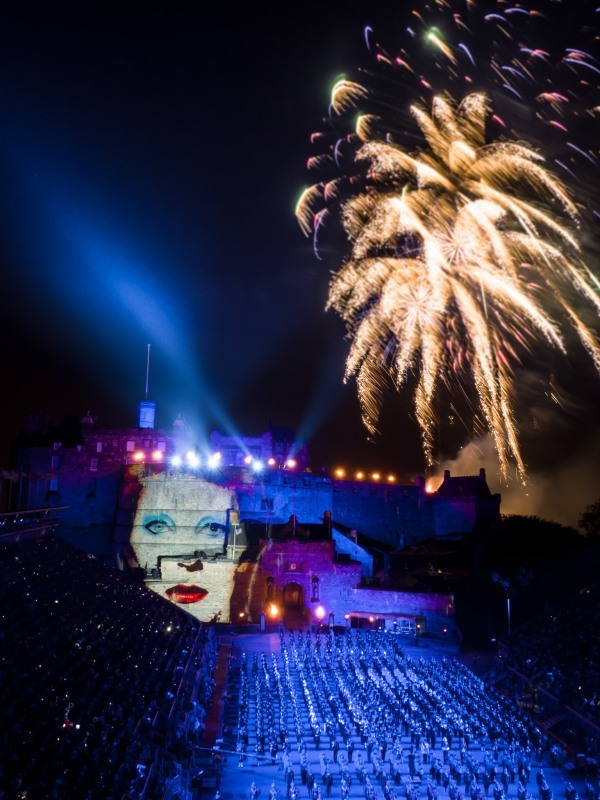 Dolly Parton's 9-5 or the firework finale with the tribute to David Bowie? It was impossible to pick just one highlight. 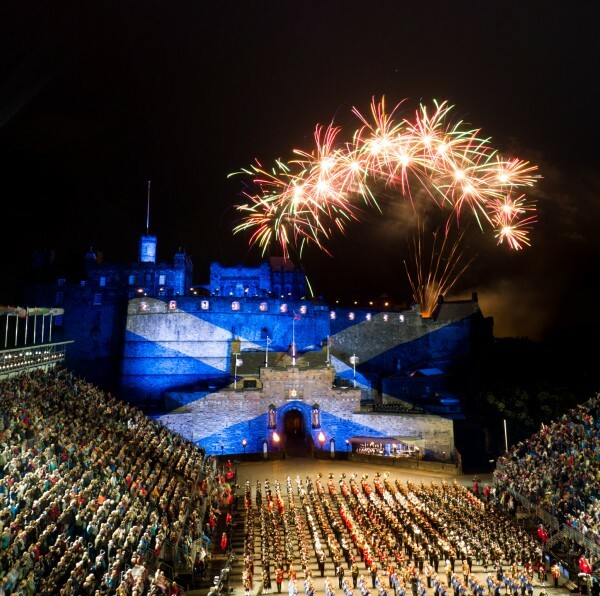 This years theme is "Tunes of Glory" and the show combines the traditional aspects of the show - like the lone piper, Auld Lang Syne and of course, the fireworks finale - with modern tunes. 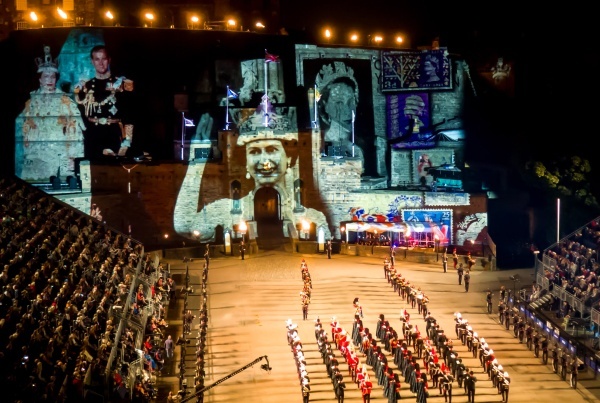 There is also a tribute to the Queen in her 90th year and the Nepal army band have Mount Everest projected onto the castle behind them during their part of the show. 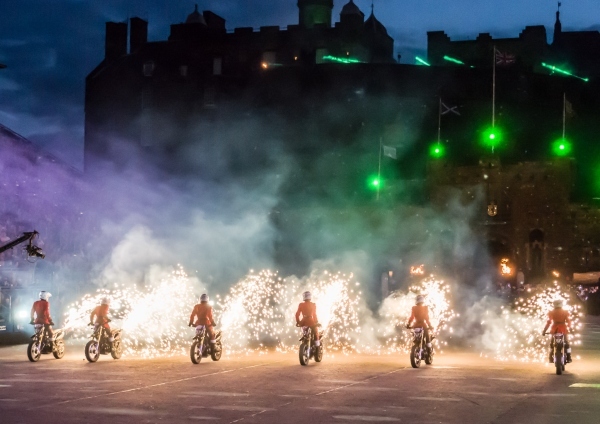 What makes the Edinburgh Military Tattoo stand out as a "must see show" is a combination of the jaw-dropping moving visuals that are projected onto the castle walls and the lively music and dancing. 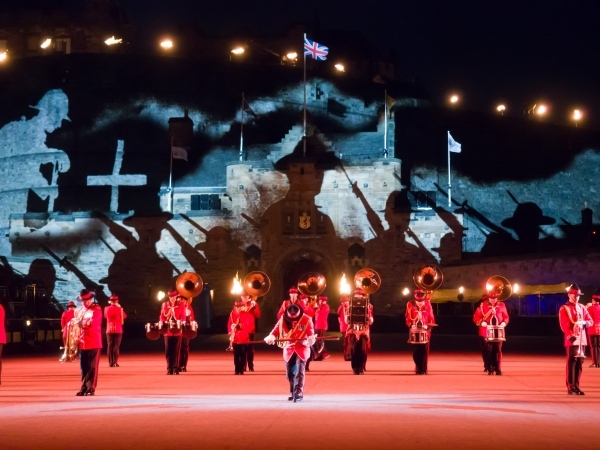 And all this in one of the most spectacular venues imaginable : Edinburgh Castle itself.